In my school years I have played a lot of Little Big Planet. I played with my brother and sister a lot of bomb survival levels. 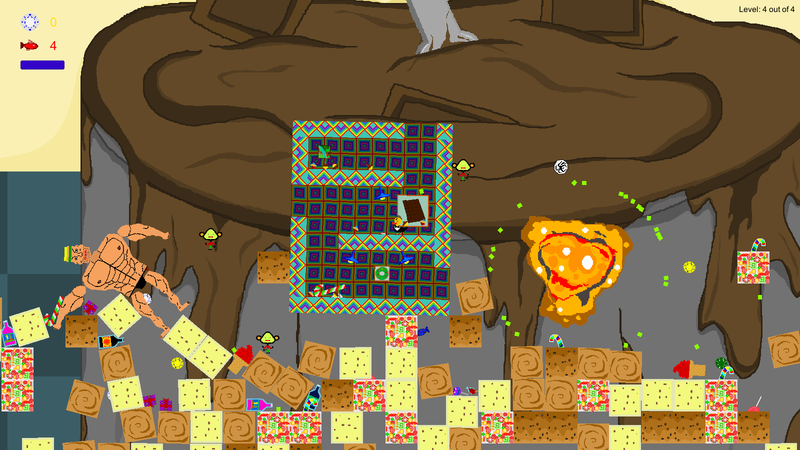 It was about surviving on a level that is bombarded whole game by the bombs generated at the top on the level. A few years later I loved another game named The Binding of Isaac and 1 year ago I figured to do a game which will merge bomb survival with procedurally generated levels. I started by rig up prototype of the gameplay. This screen shows how it look like at the beginning with free Unity assets. At the beginning I really didn’t think about the storyline or even the title of the game. It was all about the idea of the gameplay. When I showed my game to my brother he was pleased that a duck is the main character and he asked why a duck. 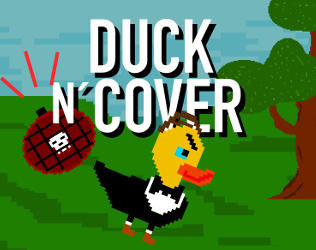 He forced me to leave duck to be main character and call this game “Duck 'n' Cover”. We have created our stuff for this game and implement a lot of new ideas from roguelike games like getting new skills, upgrade statistics etc. I don’t have any art skills for creating background so I’ve asked my girlfriend to make them. It was like "please make it for me" , "when will you make it" and after 1 month she made 1 background. So I repeated the whole process and I got 5 backgrounds. My sister is a graphic designer so I asked her politely to make me a banner. So it is first build on itch and I would love to get some feedback what u like and what is the bad part of the game. 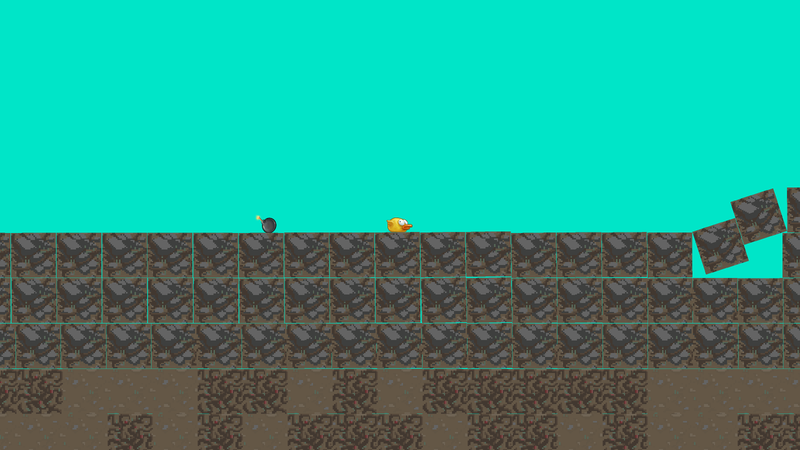 The tempo of the game is dictated by the bombs and also it is the main difficulty of the game. It’s hard to balance it and I still don’t know if it’s too hard or not. Also there is a problem with the graphics. It’s a pixel game and physics are important part of it, because of this some sprites on objects controlled by physics while camera moves are shaking a bit. I don’t know if there is any solution to this.